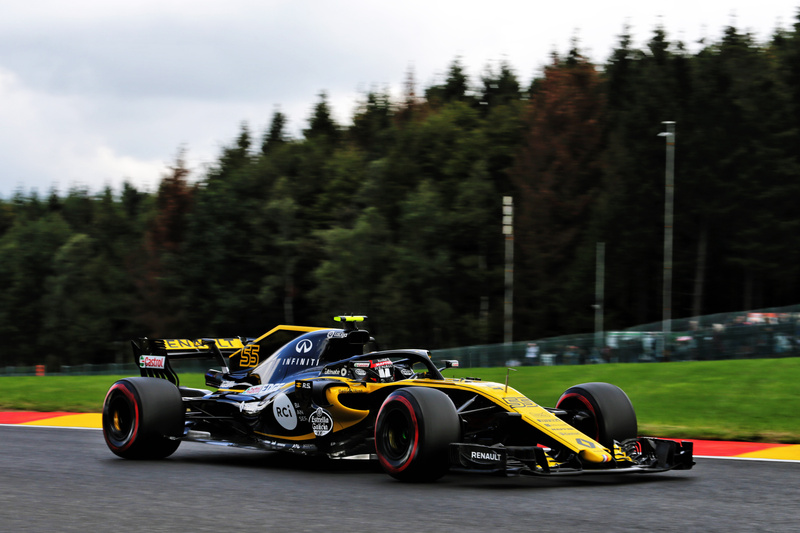 Renault Sport Formula One Team partook in a positive first day of the Johnnie Walker Belgian Grand Prix at Spa-Francorchamps with the evaluation of a new specification floor one of the primary considerations for the day. Carlos Sainz was the quicker of the team’s two drivers in the afternoon, with Nico Hülkenberg the more rapid in the morning. In FP1, Hülkenberg evaluated the latest specification floor, using Pirelli’s Supersoft (red) tyres, whilst Sainz used the previous specification floor with the Soft (yellow) and Supersoft tyres. “I think the new floor does make a positive difference and we were able to work through our programme without interruption, which is always nice. It’s pretty much a standard Friday story – we have a direction with the car and we can make it better. That’s the plan for tomorrow,” said Hülkenberg. In FP2, Sainz ran with the new floor, using the Medium (white) and Supersoft tyres, whilst his team mate ran with the older specification floor and the Soft and Supersoft tyres. “It’s great to get back into the car relaxed and refreshed. It was an uncomplicated day and we managed to follow our program quite well. The team brought some new parts that seem to work as expected, especially the new floor, which I tested in FP2. Good progress was made through the day. Spa-Francorchamps is a superb circuit so it’s great to get any laps around here and I have good feelings for the weekend ahead. Now it’s time to analyse both sessions and look for more performance with my engineers," said Sainz.